The San Francisco Symphony (SFS) recently announced two positive developments. In November, the musicians ratified a four-year agreement with increases in wages and in the defined-benefit pension plan. The contract also includes a provision for shared equity funding, in which the administration will lend money to a musician to help fund a portion of the down payment for a home, in return for sharing in the appreciation of the value of the home when the loan is repaid. This will be a great help, given the current real estate market in San Francisco, especially to younger musicians. In December, Esa-Pekka Salonen was named the twelfth music director in the symphony’s 107-year history. He will begin his tenure in September 2020, at the conclusion of Michael Tilson Thomas’s 25th and final season. MTT will retain the position of Music Director Laureate. Along with Salonen’s appointment, the SFS will introduce a new artistic leadership model with eight collaborative partners from a variety of cultural disciplines, including a film producer, an artificial intelligence entrepreneur and roboticist, a jazz musician and singer, and a composer. This experimental model will allow for the exploration of new ideas, as well as a discussion of what music is and what it means to us. The new artistic leadership model is intended to create new experiences in and out of the concert hall. 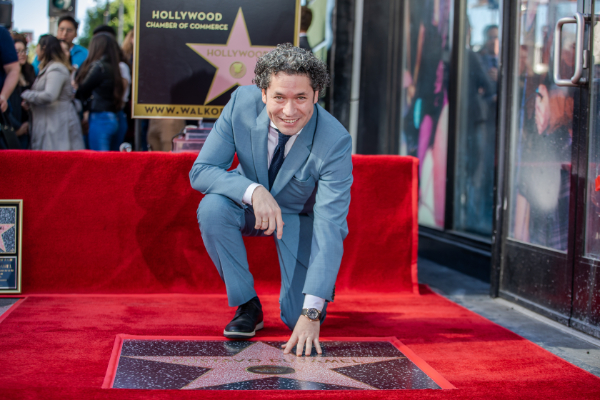 Gustavo Dudamel, Music Director of the Los Angeles Philharmonic, received the 2654th star on the Hollywood Walk of Fame on January 22, 2019, in the category of Recording. The dedication took place in front of the Musicians Institute where the star is embedded at Hollywood Boulevard and Highland Avenue. Dudamel joins the ranks of esteemed conductors Toscanini, Stokowski, Ormandy, Pierre Monteux, Bruno Walter, John Philip Sousa, Andre Kostelanetz, Arthur Fiedler, Leonard Bernstein, Zubin Mehta, Robert Shaw, William Steinberg (Pittsburgh Symphony 1952-1976) and Frederick Stock (Chicago Symphony 1905-1942). Dudamel is celebrating his tenth season with the LA Phil at the same time that the orchestra is celebrating its 100th anniversary season. The orchestra, led by Dudamel, was featured on this year’s Oscar awards ceremony in February, performing “The Journey Home” by John Williams from Superman: The Movie. In January, the Jacksonville Symphony announced the departure of its CEO and President, Robert Massey. Less than six weeks later, the Louisville Orchestra announced that it had concluded its search for a new Executive Director with the appointment of Massey to the position. His tenure in Louisville will begin almost immediately, in March. Massey served in the leadership role in Jacksonville for four years. His time there was marked by a landmark progressive collective bargaining agreement, signed in 2017, which reversed a long-standing trend of concessionary agreements (Note: See the March 2017 issue). He also oversaw the creation and execution of a new strategic plan that added new programs in and outside of Jacoby Symphony Hall, expanded student and adult music education initiatives, and added new staff conductor and composer-in-residence positions. All of this was made possible by an increase in revenue, to such an extent that the organization’s net assets have increased 60%. In Louisville, Massey will succeed Andrew Kipe, whose tenure began in November 2013, ending in August 2018 with his departure for the Peabody Institute of the Johns Hopkins University. He oversaw double-digit growth both in ticket revenue (59%) and in contributed income (18%). 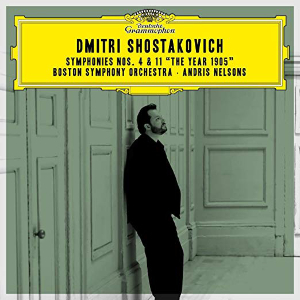 At the 61st annual Grammy awards in February, the Boston Symphony Orchestra’s recording of Shostakovich’s Fourth and Eleventh Symphonies (under the direction of the BSO’s music director, Andris Nelsons) won the awards for Best Orchestral Performance and Best Engineered Album (Classical). Recorded live at Symphony Hall, the album is part of a project to record all the symphonies of Shostakovich with Nelsons for Deutsche Grammophon. Two previous albums in the series also won Grammys for Best Orchestral Performance (Note: see the March 2016 and March 2017 issues). In all, the project accounts for four of the 11 Grammys won by the BSO. Other ICSOM orchestras receiving nominations were the Pittsburgh Symphony Orchestra (Beethoven Eroica Symphony and Strauss Horn Concerto No. 1) and the San Francisco Symphony (Schumann Symphonies 1-4) for Best Orchestral Performance; and the MET Orchestra (Der Rosenkavalier) for Best Opera Recording. The PSO’s recording of Beethoven and Strauss was also nominated for Best Engineered Album (Classical). In December, the Detroit Symphony Orchestra (DSO) performed a concert intended to be fully accessible to the deaf. The concert, the Deaf and Loud Symphonic Experience, was born out of a collaboration between Dame Evelyn Glennie, the Grammy-award-winning percussionist, and Sean Forbes, a hip-hop artist from the Detroit area, both of whom are deaf. The performances of songs by Forbes’s long-time collaborator Jake Bass, as well as a selection of Motown classics, were all done in American Sign Language, and were accompanied by large-screen videos with the lyrics. Immediately after the concert, there was a Silent Disco, with a vibrating dance floor. “The DSO prides itself on being the most accessible orchestra on the planet, so we were eager to collaborate on the very first Deaf and Loud Symphonic Experience when the idea was brought to us,” said DSO Vice President and General Manager Erik Rönmark. The concert benefited the Deaf Professional Arts Network (D-PAN), a non-profit co-founded by Forbes to make music accessible to the deaf community.